You are here: Home / Celebrity Photos / VIDEO: Nic Cage Stars In ‘Outcast’, New Clips & Film Screenshots! VIDEO: Nic Cage Stars In ‘Outcast’, New Clips & Film Screenshots! 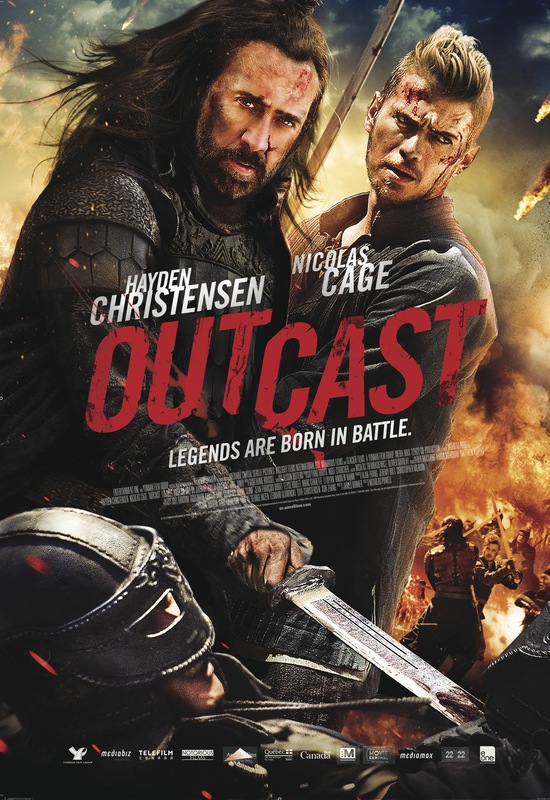 On Friday, February 6th, theaters are about to be action-packed as the new film Outcast — starring Nicholas Cage and Hayden Christensen — premieres! This newest movie from eOne Films tells a fantastic story about an heir to the Imperial throne unfortunately becoming a target of an assassination ordered by his elder brother. With the attempt on his life, he flees the kingdom, seeking protection. To survive, he must rely on a battle-ridden crusader known as Jacob, who must overcome his own personal demons, and retrieve assistance from a mythical outlaw known as The White Ghost. Together, they’ll fight side by side in an epic battle to get the Prince back on the throne. In celebration of the release, check a great interview with Nic Cage, a clip from the film, the trailer and some fantastic stills below! « Cartel Announces Pre-Sale For ‘Chroma’ 10-Year Anniversary Tour & Vinyl!